The perfect balance of Reliability, Uptime & Amazing Performance! 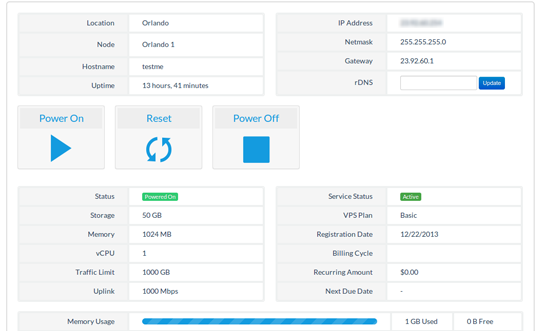 RDP comes ready for use by default with your VPS. Our hosting magicians are on duty around the clock to support you. Our nodes are monstrous! You will always get the best performance and speed! Ample Resources. 3 Locations. What more could you need? Windows! Our in house control panel handles all the complexities of Hyper-V management, meaning you can take care of most tasks including operating system installations with the click of a button. Additionally, a Java-based console is available for full out-of-band management. 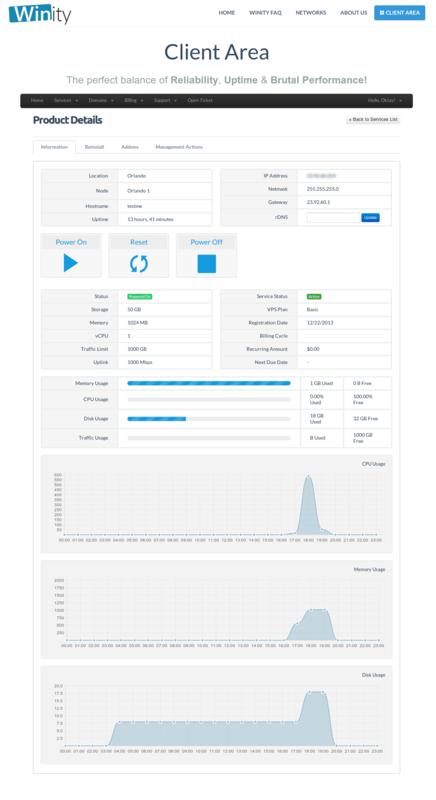 Resource usage is displayed graphically in the same interface so that you can keep an eye on your server's performance. If you don't want to go out there and spend extra on getting a Windows license, as previously stated, Winity is your best deal. They'll give you a very low price with great specs and a Windows license thrown in for you. +1 I bought one $7/month VPS, opened tickets about payment and connection,and got quick response from winity, thanks for the offer,you guys did a great job! BTW, the speed is decent visited from asia region. I recently got a uk based windows vps with winity.io (they had an offer posted on this site so I decided to give them a go) and all seems to be good so far. After purchasing my VPS went down. Guess what? after a few minutes opening ticket they fix it immediately. I’m impressed with the performance and customer service. Another top notch VPS provider. Will add another box in the future. We aim to provide affordable Windows VPS running on latest generation server hardware utilizing Microsoft Hyper-V virtualization and included in the price is a single Windows Server 2012 R2 Datacenter license allowing for Remote Desktop connection. We also provide an in-house control panel to manage your Windows Server at the push of a button. With Winity.io, you end up with a highly responsive, quality Windows VPS which you can use it for as a remote office or to run your Windows applications on. We have tons of happy customers utilizing our awesome Windows VPS hosting service which is built on purely SSD RAID arrays for extreme performance. So, why don't you join us and enjoy your cheap Windows VPS?